It’s been a tough first half of the year. A couple of weeks in South Africa and Lesotho, a week or so in and around Istanbul, and most recently a trip to Tibet visiting Lhasa and Everest Base Camp, and ending in Nepal at Kathmandu. What a variety of wines! Even had a vintage 1997 Great Wall cabernet in Lhasa that we picked up in Xining and carried on the train. How was it? Fairly light as I remember, and not in the greatest of condition, which is no surprise seeing it was stored upright under cork in a busy Xining supermarket. Which brings me to the photo below. 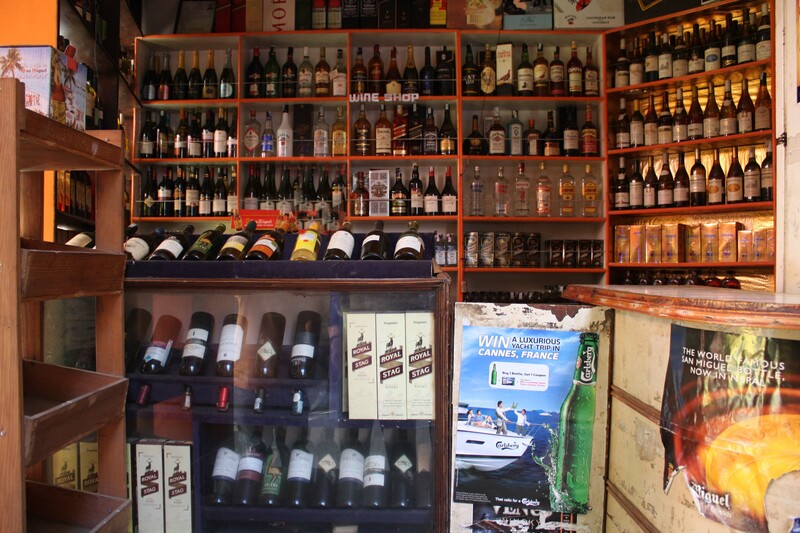 It’s of a wine shop in Kathmandu that is pretty much open to the elements. I checked out the stock and found Lindemans Bin 45 chardonnay, Two Oceans sauvignon blanc and a lot of other run-of-the mill wines that hadn’t moved for a long time. They were all old, around 2003 or 2005. Yep, they’d be in real good condition I don’t think. Our poor guide was astonished by the suggestion that they should be poured down the sink. There’s a way to go on the wine scene – a waiter graciously placed the removed screwcap on a plate for my inspection and proceeded to pour the red wine into tumblers (the last time that happened was in Bulawayo in 1991, when we were presented with the plastic cork from a bottle of bubbly) but there seems to be a genuine enthusiasm to learn. It’s now life back to normal for a while, so expect a review of what’s on offer in Singapore in the next day or two.